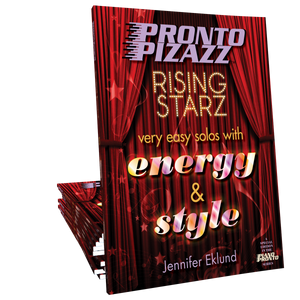 Latin Lingo by Heather Nanney is a festive and energetic solo that is perfect for beginning students. The lyrics will help reinforce rhythm and even teach your student some Spanish words along the way! Backing tracks free with purchase for even more full-time fun! Do you want to give your piano students a quick ego boost? Give them Latin Lingo and let them show off how much Spanish they know -along with their music, of course! The students in my local elementary school start Spanish in 1st grade, and they think it's so cool to be able to recognize these Spanish words-and I don't ! It's a readily playable piece with a catchy little tune, and an opportunity to show off their Spanish language skills. What's not to like?! Great piece to practice syncopation. It's definitely an "ear-worm" piece. So fun! 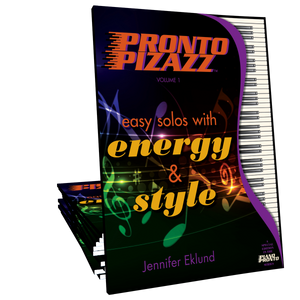 This piece is a must for elementary beginners or even a fun sight-reader for those a bit farther along at the elementary level - it's just SO much to play! I had one student who planned to quit piano because "he wants cooler music" - after working on this in one lesson he ran to his mom and begged not to quit lessons! I had another student look at my with really big eyes and vigorously shake her head up and down saying "yes, yes, I like that one the best!" And lastly, I caught myself humming it in the kitchen while cooking dinner. It's a keeper for me and my studio!